1. 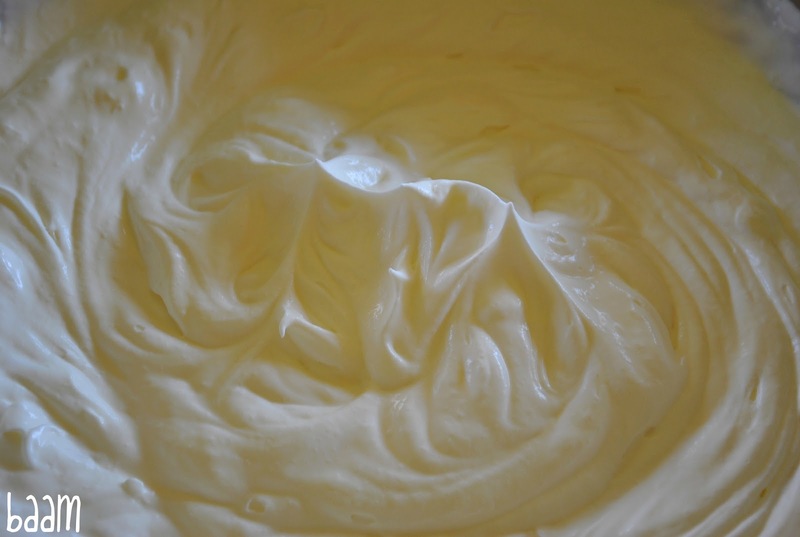 In a medium bowl beat whipping cream until it becomes stiff, slowly add condensed milk and stir until combined. 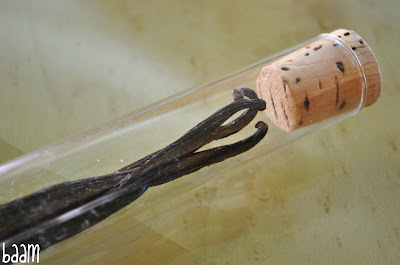 Split vanilla bean lenghtwise, scrape the seeds from both sides and add it to the cream and milk mixture. 2. 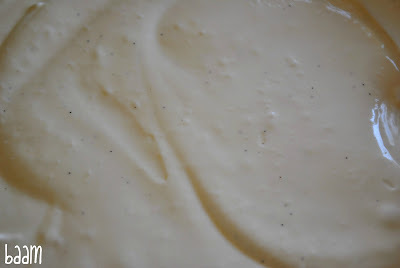 Stir well and pour the mixture in a medium container, cover and freeze it for at least 3 hours. Oh this looks soooo good! 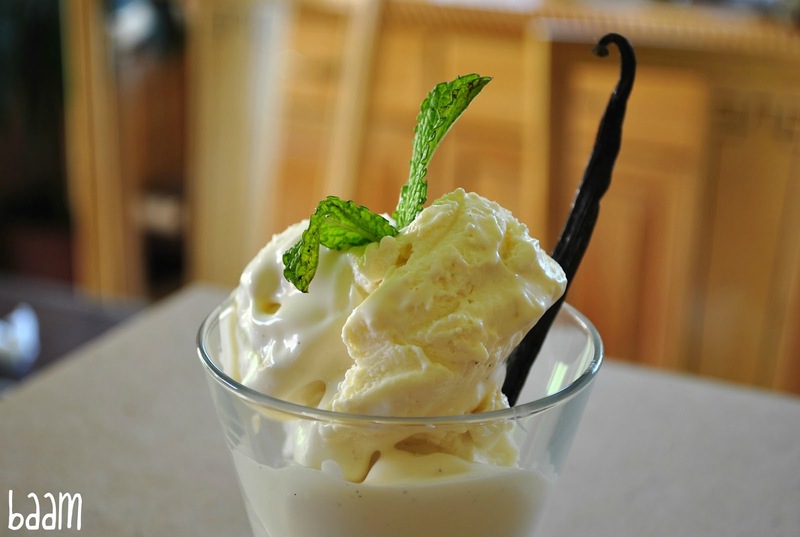 Sometimes vanilla ice cream hits the spot like nothing else can. This looks so good! I just had some vanilla ice cram a few minutes ago, but it looked nothing like this! Only three ingredients...now that sounds dangerous. And awesome. This looks fabulous. I love home made ice cream. I can't wait to try it! I love recipes like this one. Minimum ingredients. Minimum effort. Maximum enjoyment. Not having an ice cream maker either I'm all for recipes that don't require one. This ice cream does look wonderful. 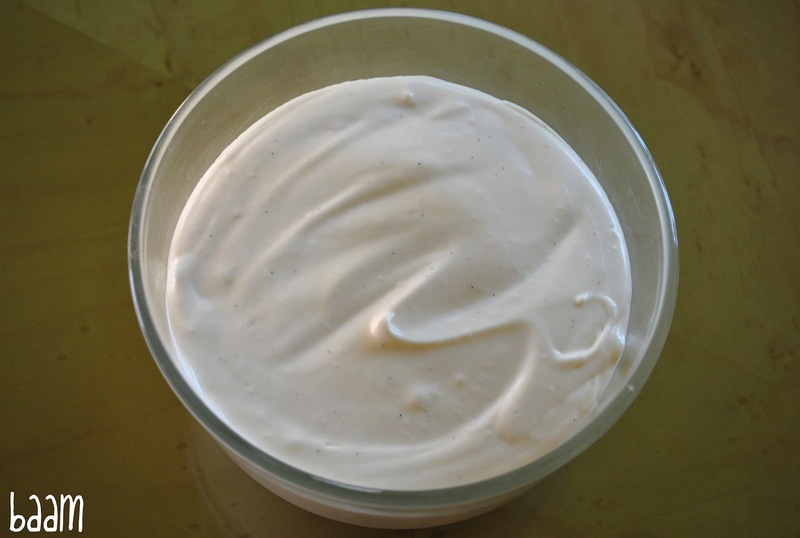 I can see by your photo how creamy it is! I looks delicious, Beti. 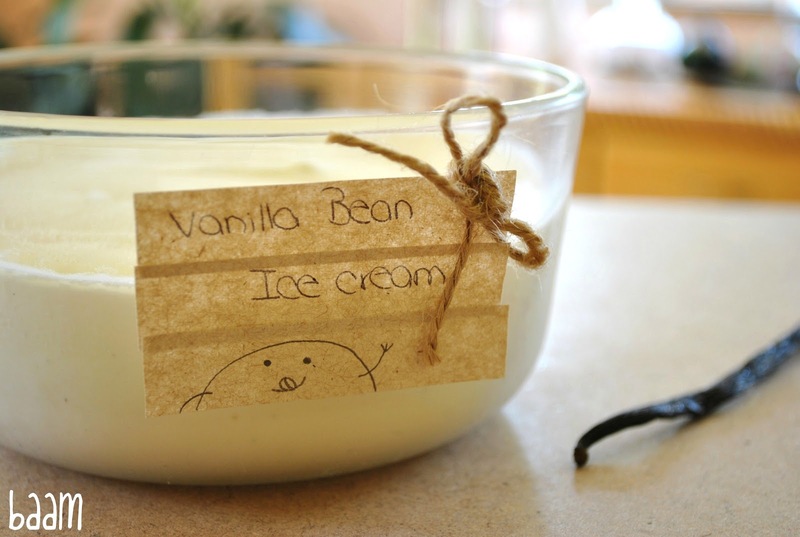 First of all the tag on the bowl is adorable and secondly this ice cream looks amazing! So rich and creamy and smooth! YUM!